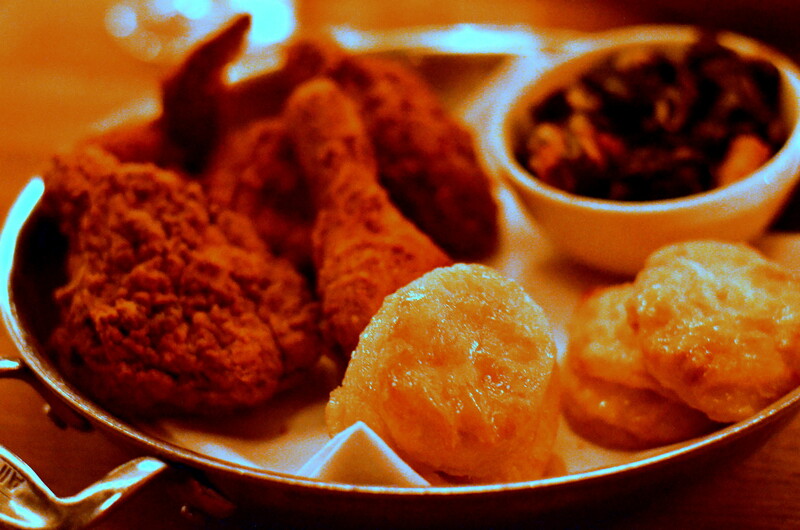 I’m a sucker for fried chicken in all its forms, so I wouldn’t turn down an opportunity to stuff my face with a few pieces made by the folks over at the Dutch. Plus, pastry chef Kierin Baldwin makes honey biscuits to go alongside. I AIN’T GOT NO WORRIES. 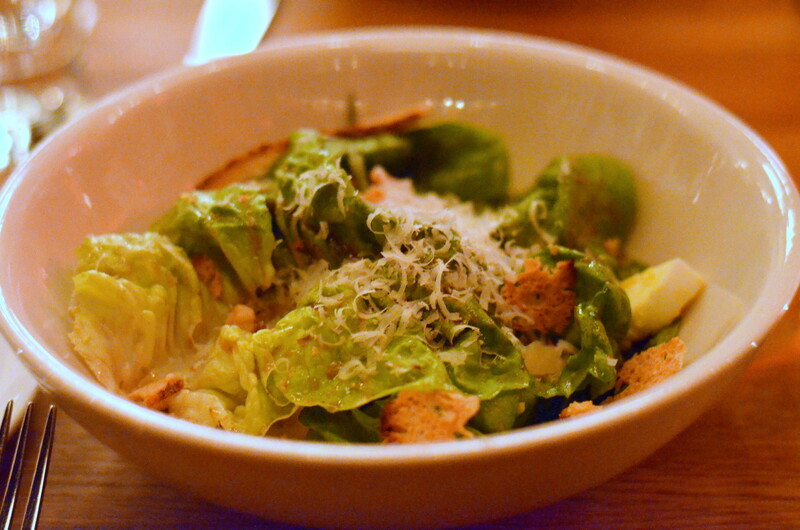 Okay, so there’s a Caesar salad to start, which is all fine and good. The cornbread is a pro move as well. 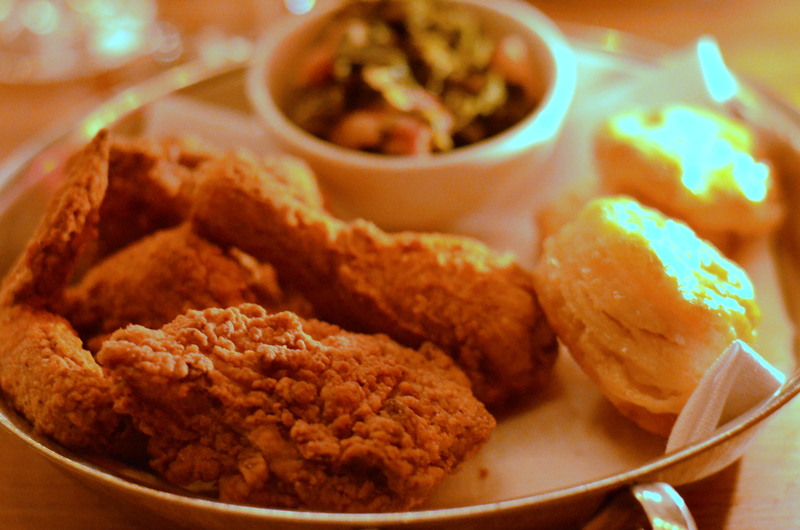 But it’s really just about the hot fried chicken with these honey-drenched biscuits. The chicken was excellently made, with a thick shell (as I like it) and an undercurrent of paprika (which I washed out in honey and hot sauce, as any self-respecting fried chicken eater would). 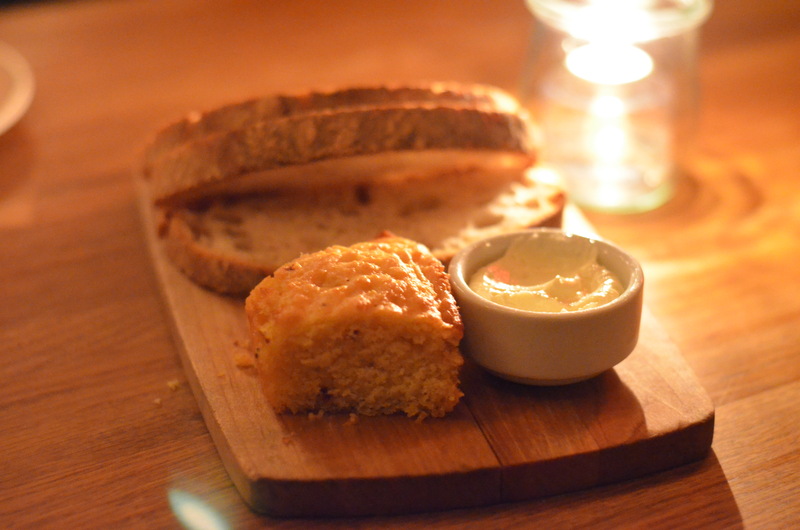 The biscuits were the scene-stealers of the show – flaky nuggets of buttery gold. The only bummer is that for dessert, you can only pick one of two pies. The pies in and of themselves aren’t bad, if you have room for them. It’s just that the set dinner does not allow you to choose the other fantastic dessert options that Chef Baldwin mixes up on a daily basis. On the night I was there, I forwent a phenomenal-sounding coconut cake and felt like I had to settle with my choice of apple pie. Okay, The Dutch, I forgive you.